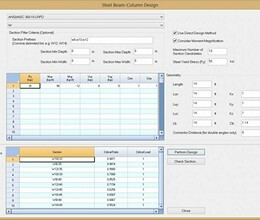 sCheck is a Windows program for structural engineers to design and check steel beam/column compliance according to ANSI/AISC 360-10. The program checks, or designs, any of the standard AISC shapes including; W, M, S, HP, C, MC, L, WT, MT, ST, 2L, HSS, and PIPE against a set of load effects. sCheck will automatically generate extremely detailed calculation procedures in html. 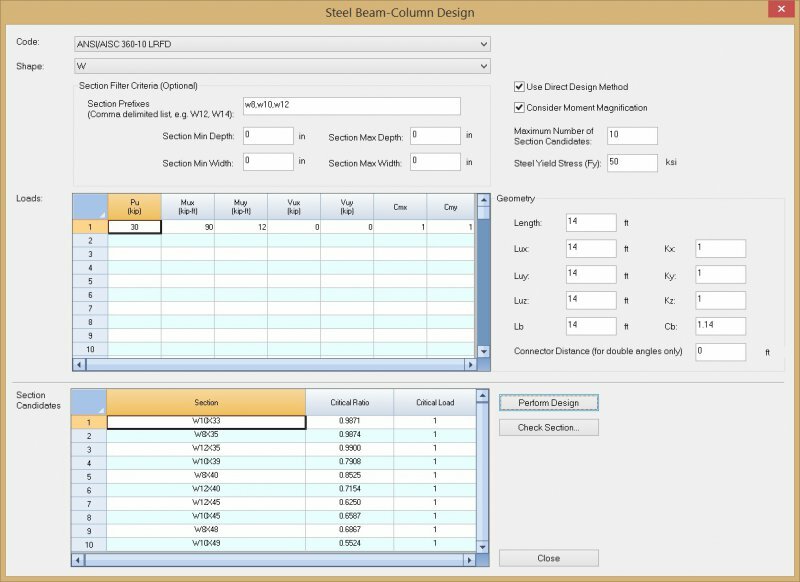 Capability to generate extremely detailed calculation procedures. * sCheck download link provides demo version of the software. No one has rated sCheck yet. Be the first to rate this product.